Consent form for Thompson School District, Berthoud High School, Berthoud Robotics and ActionWorks and it's volunteers. (Note A&W on the North West Corner). Turn left at stop light. South on 8th Street to the Spartan Avenue. Right at stop sign. West on Spartan Ave. BHS is on the right. Park in east or north parking lots. Turn east at the Hwy 56 stop light. East on Hwy 56/Mountain Avenue to 8th Street. Turn right at stop light. Full refund if cancelled by 11/1/18, minus the $5.00 RobotEvents fee which is non-refundable. After 11/1/18, we will refund only if there is a replacement team on the wait list who actually participates in the event. If you end up losing your tournament registration fee due to cancellation but your volunteer shows up even if your team didn't we will refund $10 of your fee. The event will be cancelled if news stations advise staying home. We will post on both http://BerthoudRobotics.org/tournament and on http://www.action-works.org assuming the weather isn't so bad as to lose power. We are in need of both full and partial day volunteers. Volunteer slots for most positions are 2-hours in length. A half-day slot would be two 2-hour slots. A full day position would be either a full day position (e.g., Referee) or two half-day or three 2-hour slots. Teams may bring in own food, pre-order lunch, buy pizza by the slice, or go out to lunch. Lunch is only 30 minutes. Please see the http://www.berthoudrobotics.org/tournament for additional tournament information. Questions can be directed to president@BerthoudRobotics.org at any time. Text/Call 970.227.5368 if you have questions that need quick answers. 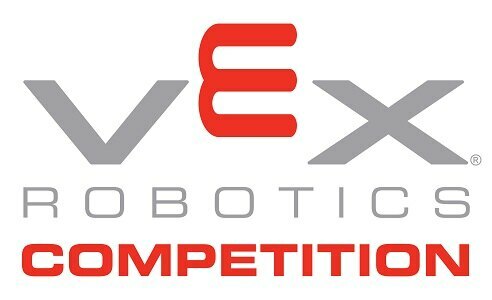 Because this tournament is very early in the season, the VexV5 equipment is somewhat late in arriving and BRC is running both a VRC and an IQ tournament on the same day, both tournaments are performance only. What that means is that there will be no judging at the tournament and no judged awards given out. Qualifications for state will only be through the Tournament Champions awards per the Vex qualification rules for performance only events. See http://www.berthoudrobotics.org/tournament for more tournament information. Completed/signed consent FORMS (note there are 2 of them) for all participants (students, volunteers, mentors and participating adults) must be turned in during check-in. Team leaders will need to collect the completed forms for all participants attending the event and turn them in to the registration desk when checking in. Both forms are available on the Documents tab. The first is the Participant Consent Form and the second is the BRC Tournament Consent Form. Volunteers should sign up on our SIGN-UP-GENIUS or send email to president@BerthoudRobotics.org with your preferred event volunteer position(s) with your team number if you are volunteering for a particular team. If you will need an official letter indicating your volunteer hours, please email that request to president@BerthoudRobotics.org. If using the sign-up-genius please put the team # and note if you need an official letter in the "comment" text-box on the page where you type in your email address. We will assign positions based on the order of signing up or the arrival of your email so volunteer early to get your number one choice. A pre-order form will be sent to each registered team as of 11/1/18. This will consist of two options for delivered lunch items. Subway sandwiches [several types] (expected price $8, final price TBD). In addition, Berthoud Robotics will have various drinks and snacks available for preorder and purchase including water, diet and non-diet soft drinks (Pepsi/Coke products) and various sport drinks. Snacks will generally be pre-packaged chips and candy bars. Review rules and run through the inspection checklist (see Documents tab). Review closely the rules for using VexV5 equipment or Vex Cortex equipment. Note also the rules on robot sizing. The sizing rules can cause your team a lot of work early in the day if not closely followed.